Adult home for the elderly and mildly disabled. 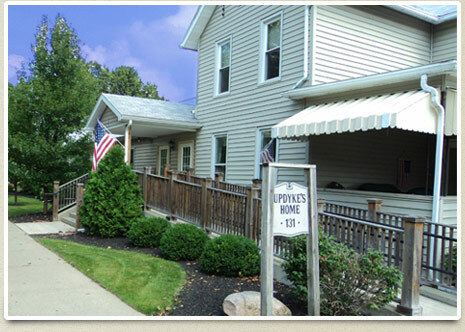 Updyke's Willow Ridge Quality Care Facility is a New York State licensed and inspected, 40-bed home for the elderly and mildly disabled, offering 24-hour care and all the comforts of home. Updyke's Willow Ridge is a family operated business. Owner/Administrator Josephine (JoAnn) Updyke has been in the home health care business over 30 years and continues to oversee daily operations.